A beautiful Aged Bronze Reeded Night Vent Fastener. 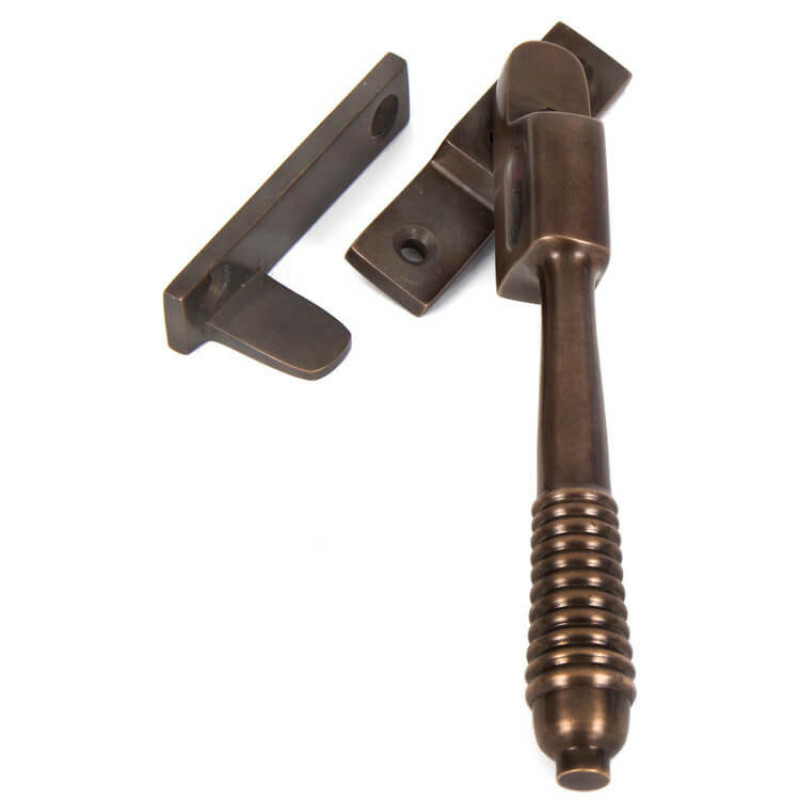 An exquisite Aged Bronze Reeded Night Vent Fastener designed to fit casement windows. The fastener is reversible and comes with two keep plates for both left and right handed windows. 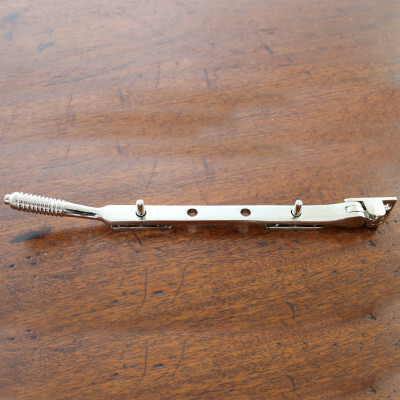 The fastener can be locked in the night-vent or closed position using the allen key provided. 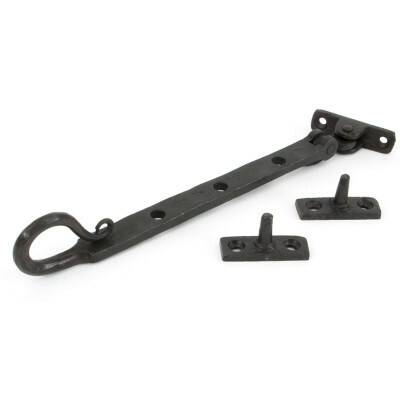 The narrow fixing and keep plate make it particularly suitable for windows with narrow stiles. 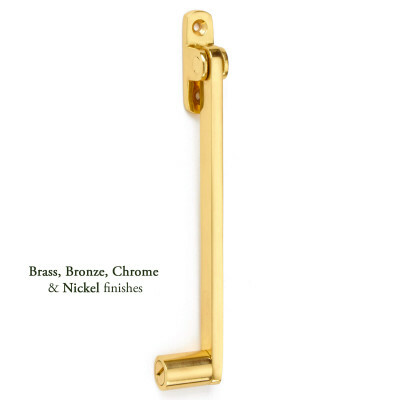 This classic Regency style handle is made from solid bronze and has been designed to match the Reeded Door Handles in the range. 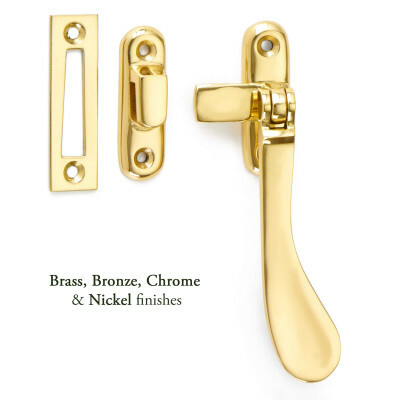 There is also a regular Casement Fastener and Casement Stay to match.